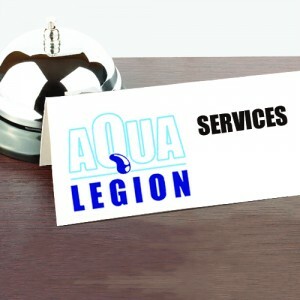 Welcome to our legionella services page where you can view some of the legionella services offered by Aqua Legion. To the right you will see a list of links to cover your legionella requirements. Legionella Control and water hygiene is a huge subject, so to support our clients we have created separate pages to cover the most common types of legionella service offered so you can get to the information you need quickly. Click here for Industry Specific Legionella Management Services and Information. This is the website that provides a synopsis of all the legionella services that you may require. To view each of the different legionella services and to who and how we provide those services to the different industry sectors ensuring we take into account industry specific guidance. Please explore the resourceful legionella website. Our Legionella Services are bespoke and tailored to meet the needs of each individual client. So if you have a unique legionella enquiry or simply need legionella information or knowledge, this is the website for you. If the legionella service you require is not listed, please do not hesitate to give us a call as one of our experience consultants will be able to design a support service that will fit with your exact requirements. We offer various bespoke legionella services including adhoc or routine legionella inspections and water risk assessments that also provide a guide to implementing a full water safety plan. We have built and designed this website to include extensive information around the subject of legionella control to support our clients in understanding what they should expect from their legionella service provider. We have a Legionella knowledge bank that should be used for referencing common legionella questions. Our questions and answers page and glossary all help to create a total information resource for legionella services and legionella control. It should be known that the standard of legionella services can vary significantly from Organisation to Organisation. In order to facilitate customers in selecting a competent supplier for legionella risk assessment, it is strongly recommended that a company registered with the legionella control association be appointed. This will ensure a minimum standard of services you should expect to receive. The Legionella control association has drafted a set of standards that need to be followed by all organisations offering legionella services that are registered with the organisation. Aqua Legion is registered for a range of legionella services with the legionella control association including legionella risk assessment services, legionella consultancy services, legionella monitoring and analytical services to name a few. All our legionella services are provided to offer the client the most professional service that ensure compliance and reduction in the risk of legionella infection. Aqua Legion UK Ltd provide independent evaluation of the hygienic and operational condition of a variety of water systems by conducting various water tests, analysis and water sampling programmes. Whether you require water sampling for compliance to legislation, verification, reassurance or operational purposes we can help. All our samples are tested via UKAS accredited laboratories as standard. We specialise in independent legionella sampling and legionella testing services. With expert independent legionella consultants, we develop strategic water sampling and legionella testing programmes for a variety of organisations and systems. Our Legionella Consultants are experienced in the provision of water sampling and inspections programmes for the NHS, Petrochemical Industry, Local Authorities and Housing Associations with multiple property portfolios. However, we also provide our specialist legionella consultancy services to much smaller Organisations including companies occupying serviced offices, Care Homes, Hotels, Hostels and B&B’s for example. Aqua Legion UK Ltd carry out indoor air quality monitoring services for a range of issues throughout the built environment. We conduct indoor air quality investigations, inspections and monitoring programmes that typically include, temperature monitoring, relative humidity, air movement, CO2, CO, airborne particles, airborne bacteria, and a range of other indicator gases including formaldehyde, ozone, sulphur dioxide, carbon monoxide and hydrogen sulfide etc. By providing bespoke independent indoor air quality monitoring and inspection services we can effectively manage indoor air quality in any office or working environment. Our routine indoor air quality monitoring and inspection services will support any Organisation in the clear demonstration of due care and diligence whilst also helping to create the most effective working environments attuned to productivity. With occupational hygienists and general Health and Safety experts as part of our Consultancy Team Aqua Legion are equipped to support any organisation. The indoor working environment has a well documented relationship with work rate productivity, work quality and moral. With our Specialist Team, Aqua Legion UK aim to achieve optimum indoor air quality, water quality and Environmental working conditions to support any work force or employer. Need some ideas on how to improve you working environment. Contact Aqua Legion UK now. Aqua Legion intend to become known as the best Legionella Consultancy in London and then the UK. Our Legionella Consultants are focused on providing the best Legionella risk management programmes for the most diverse of organisations throughout the UK. So if you require a water assessment to be conducted by a competent Legionella Consultant look no further! Need a quote to cover your building(s) ? Contact us Now !